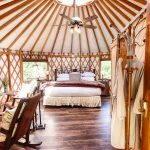 Our custom Hocking Hills yurt rentals combine the very best of refined cabin life and tent camping. 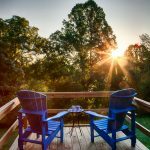 It’s the perfect opportunity to enjoy the comforting sounds, sights, and smells of nature without sacrificing the luxuries you’d find at most hotels and resorts. 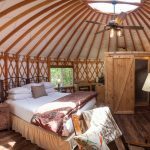 Yurts are circular shelters that were used for centuries by Central Asian nomads. There are several variations of the basic design and different names used for the structure, but the oldest and most used was the Mongolian Ger. 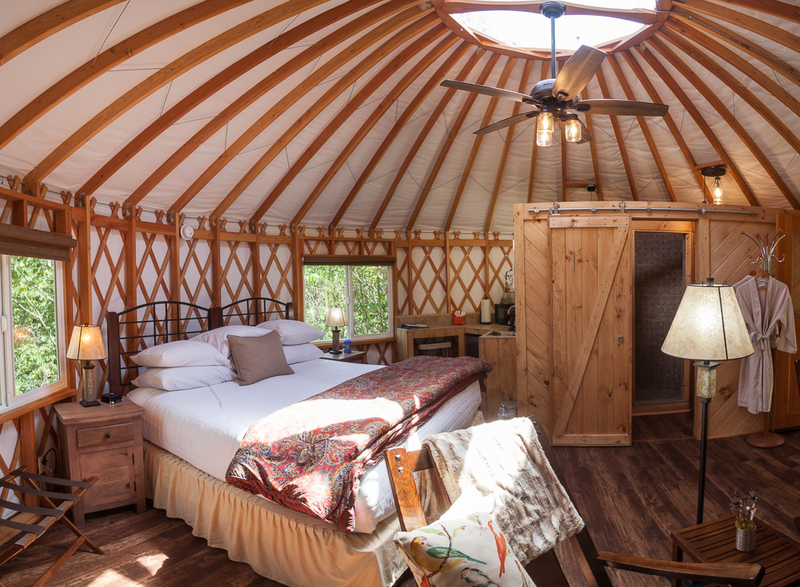 This inspired the modern Pacific-style yurts that you’ll find at the Inn & Spa at Cedar Falls. Our modernized version are made of beautiful Douglas fir, wrapped in NASA-developed reflective insulation, and covered in with architectural fabric. The wood rafters lead upward into the central dome creating an open, spacious feeling with an abundance of natural light. 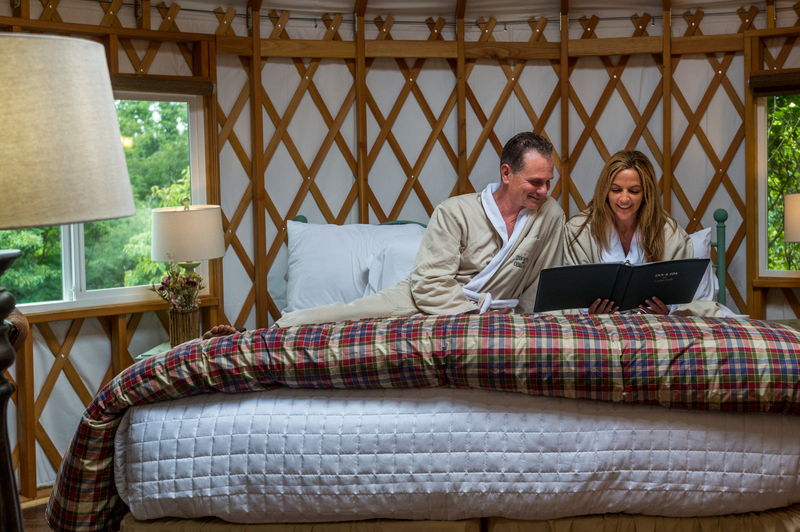 Our yurts are truly a marvel to behold and even better to stay in! 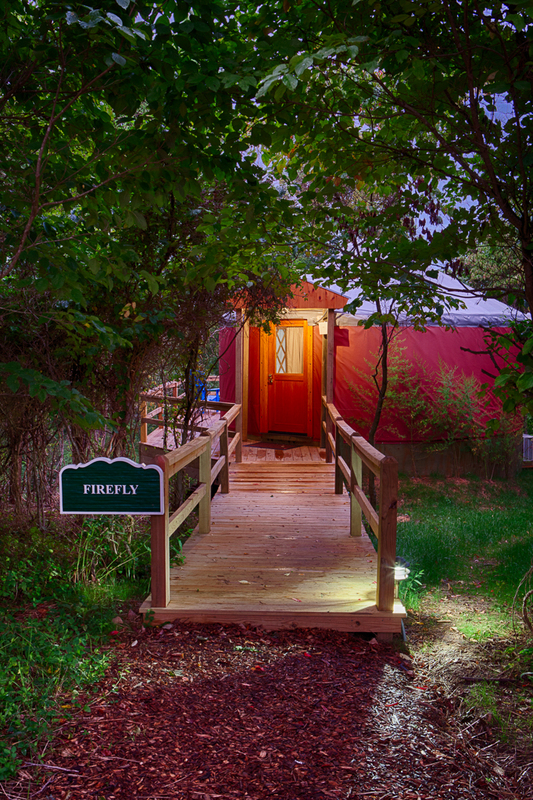 Each of our 20-foot diameter yurts boast a king-size bed or two twin beds, full bathroom with a tiled shower, comfortable reading rockers, gas log stove, microwave/under counter refrigerator, a wood deck and more. Plus, they are heated and air-conditioned for year round use! 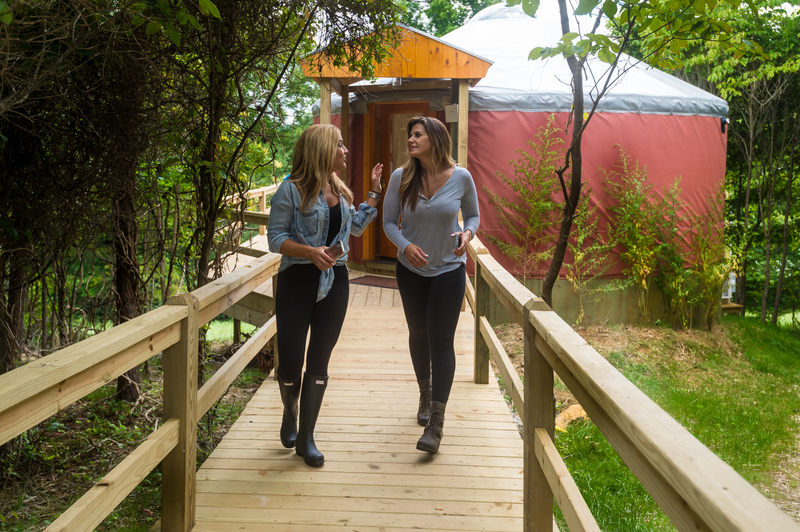 Our yurts do not have a TV (but are Wi-Fi accessible), giving you the chance to truly live in the moment, enjoying your memorable glamping experience. At night, gaze up at an entire sky of sparkling stars right from your bed! 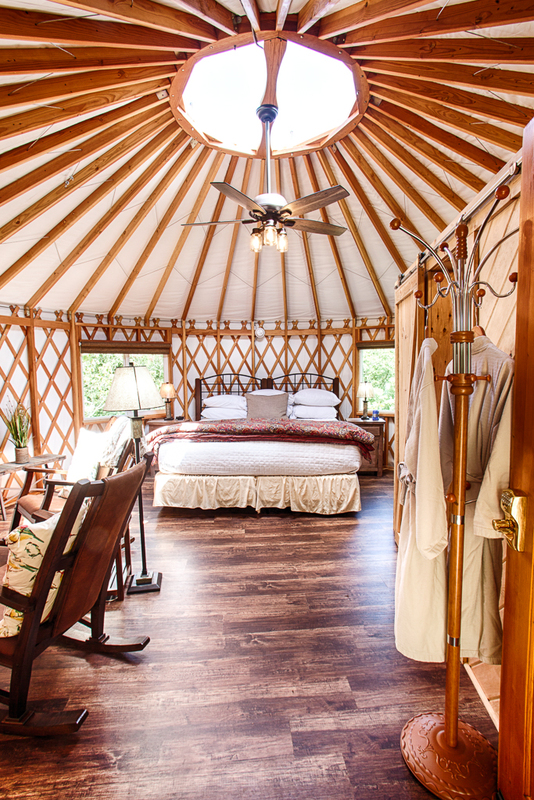 It’s the icing on the cake for your perfect yurt camping in Ohio getaway. 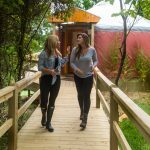 Reserve your stay for an Ohio yurt camping experience you will never forget! 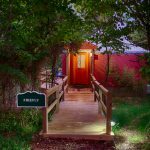 Interested in other lodging options? We’ve got you covered! 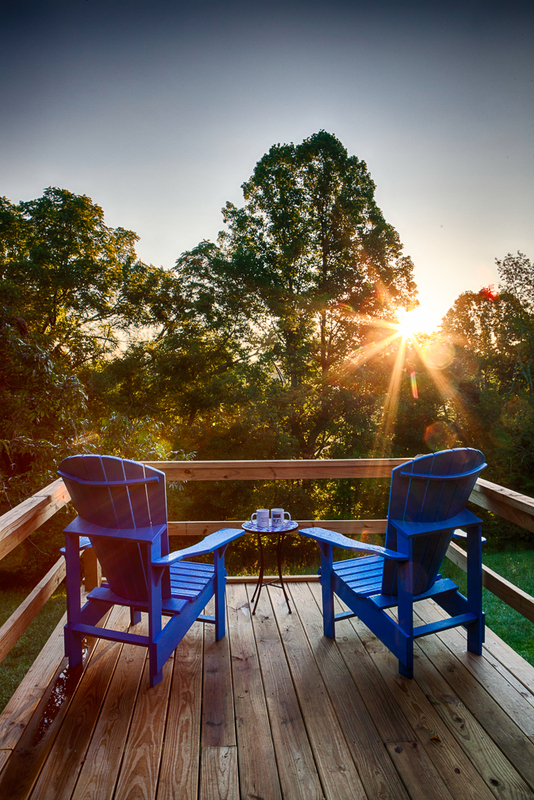 Be sure to explore our wide selection of 1840’s style cabins, cozy cottages, or bed & breakfast rooms.